Here's an early(ish) US trade paperback, published in 1976, collecting the first eight issues of the creaky sixties Gold Key STAR TREK comics (notorious for their less-than-definitive grasp of the show or its characters). Golden Press was part of Western Publishing which - in turn - owned Gold Key. 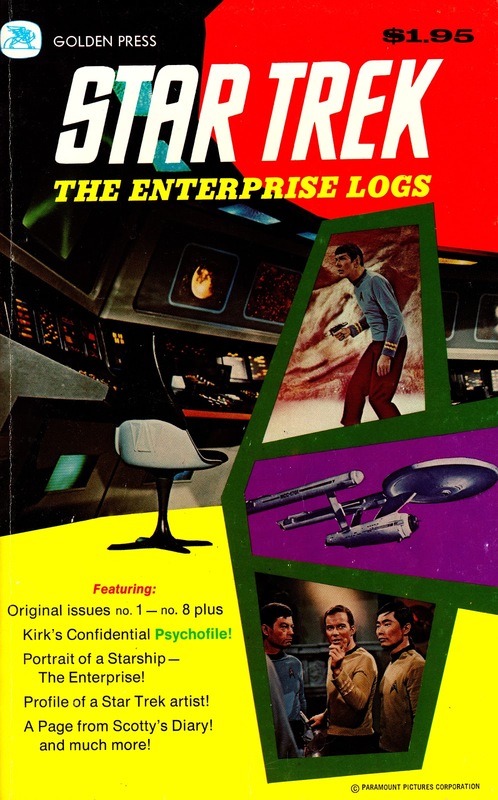 There were, in total, four of these volumes collecting the first 38 issues (actually 35 issues worth of strips as three reprinted stories from earlier in the run) published in 1976 and '77. 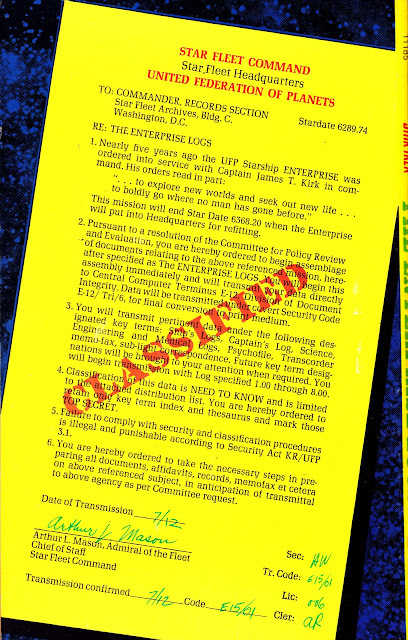 Gold Key published 61 issues of their Trek comic between 1967 and 1979 (whereafter Marvel took the license to produce post-ST:TMP comic books).